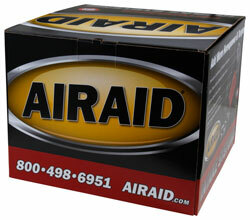 The AIRAID 201-712 fits some Cadillac Escalade, Cadillac Escalade ESV, Cadillac Escalade EXT, Chevrolet Avalanche 1500, Chevrolet Silverado 1500, Chevrolet Silverado 1500 Classic, Chevrolet Silverado 1500 HD, Chevrolet Silverado 1500 HD Classic, Chevrolet Silverado 2500, Chevrolet Silverado 2500 HD, Chevrolet Silverado 2500 HD Classic, Chevrolet Silverado 3500, Chevrolet Silverado 3500 Classic, Chevrolet Silverado SS, Chevrolet Suburban 1500, Chevrolet Suburban 2500, Chevrolet Tahoe, GMC Sierra 1500, GMC Sierra 1500 HD, GMC Sierra 2500, GMC Sierra 2500 HD, GMC Sierra 2500 HD Classic, GMC Sierra 3500, GMC Sierra Denali, GMC Yukon, GMC Yukon Denali, GMC Yukon Denali XL, GMC Yukon XL 1500, and GMC Yukon XL 2500 models. See vehicle applications for details. Product came very quickly in a very sturdy box. Looks great...sounds great. Very happy with my purchase. Every thing was very easy to install and as advertised. Definitely noticed improved sound and a little power increase. Great experience, and very fast shipment. Great overall quality and products. I love the new synthamax filter that doesn't need to be oiled ever, I will be a lifetime customer for sure.